Have you been on the hunt for that perfect pie crust recipe that is easy and deliciously flakey? 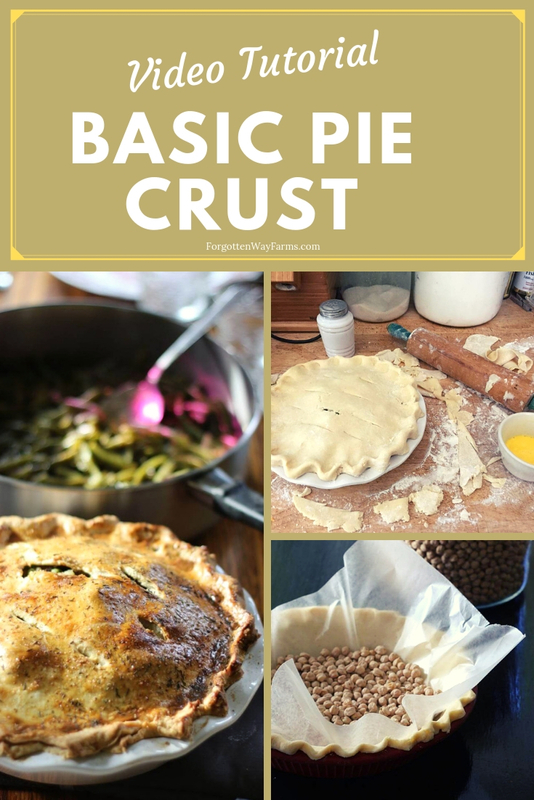 Well, I have just what you’re looking for in this easy, basic pie crust recipe! 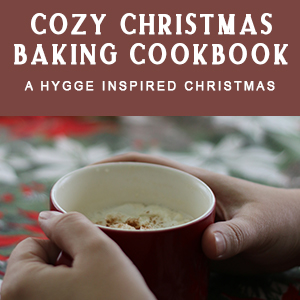 And, I even have a video tutorial and printable recipe for extra ease in the learning process. Homemade pie has a way of wowing people, and nothing is as delicious as a chilled slice of Granny’s Cocoa Cream Pie on a hot summer day! A flakey pie crust recipe is the stuff of potluck gossip and slow Sunday evenings in the summer. It brings people back and more importantly, together. It reminds you of memories and helps you to make more at the moment. My great-grandmother was a master of the cream pie, and thankfully she passed her recipes and knowledge down to me! I have very dear memories of her and the love she put into her food. It’s always inspired me to cook for my family and make the best food that I can. My daughter has recently become extremely sensitive to gluten, and I decided to adapt and change some of our favorite family recipes so that she wouldn’t be left out. 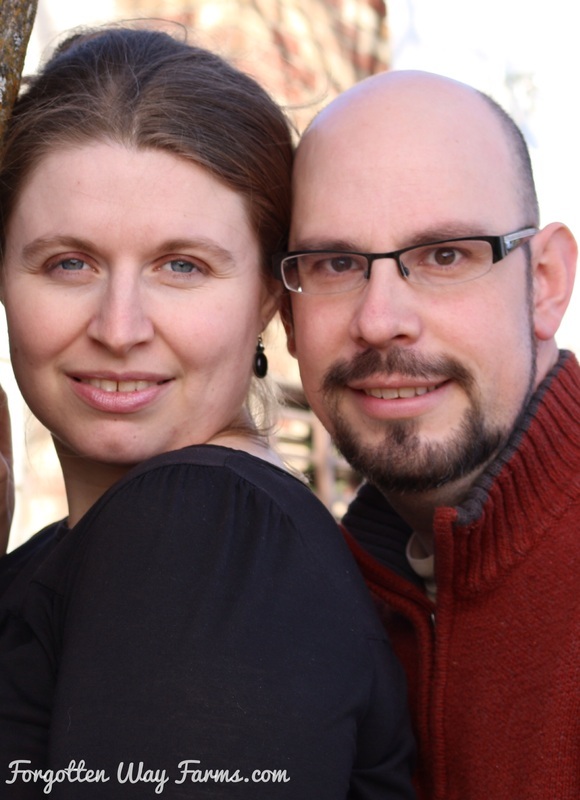 Together, we found that Bob’s Red Mill 1-to-1 Gluten-Free Flour Mix is the best swap for our baking needs. For this quick pie crust recipe, I switch out the flour with equal amounts of the gluten-free flour, and it works perfectly! Here’s the video tutorial for my flakey pie crust recipe which makes two pie crusts or one double pie crust. Enjoy! And, if this video helped you in any way consider checking out my channel and giving it a thumbs up on YouTube! I appreciate the support. In a medium-sized bowl, combine the flour, sugar, and salt. Add the chilled butter and cut it into the flour until there are only pea-sized chunks left. Make a well in the center of the bowl and add the vinegar, and cold water, using your hands or a spoon mix together until the dough comes together without being too sticky. Be careful to not over-handle the dough. Divide into two balls or disks and wrap in plastic, place in refrigerator and let chill for 45 minutes to an hour. 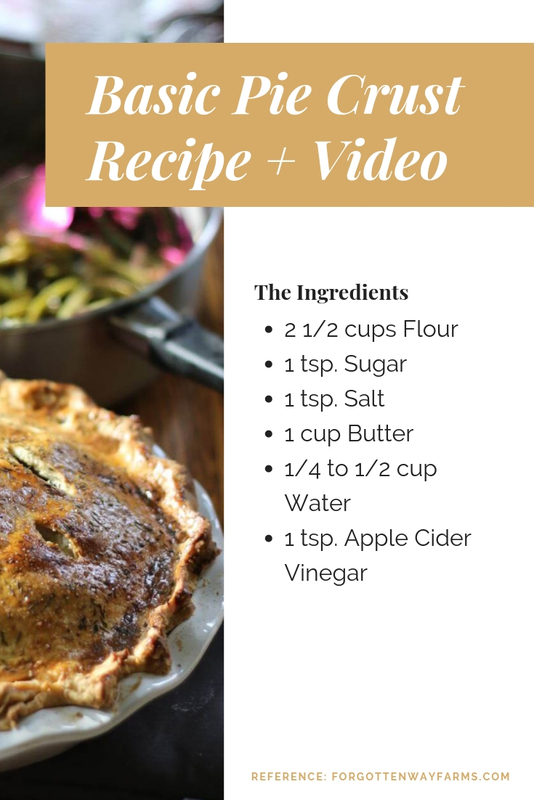 *This recipe makes enough for two pie crusts or one pie with crust and top. Common questions on pie crust. Why do you put vinegar in pie crust recipe? 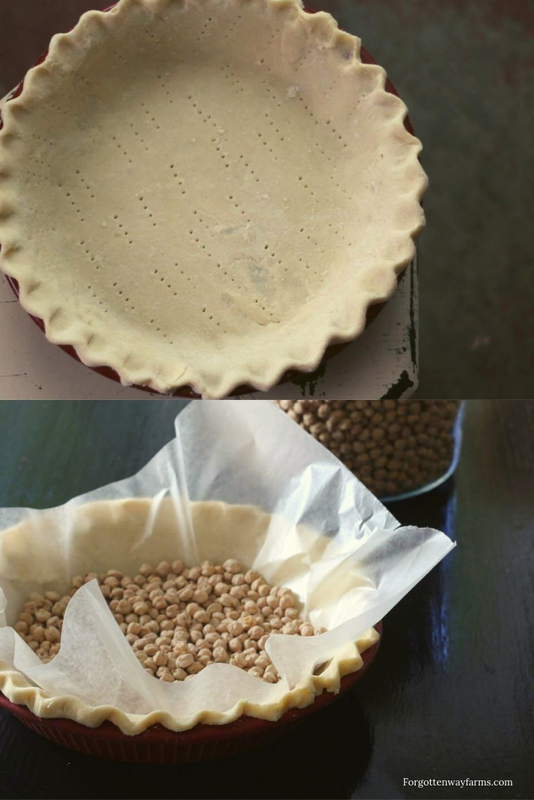 Vinegar helps the pie crust to stay tender and flakey by inhibiting the gluten development in the dough. How do you keep the pie crust from getting soggy? Two methods will help to prevent that, blind baking which I explain in my video and another trick is to brush the bottom of your pie crust with a beaten egg before adding your liquid filling (this would be for pumpkin pie or another pie filling that requires baking). What can I use for pie crust weights? I use dry beans or rice, line your pie crust with parchment paper first though! Can I use rocks for pie weights? Sure! Just be sure to wash them and always line your pie crust with parchment paper first. Is homemade pie crust easy? Everything gets easier with practice, but pie crust is relatively straightforward. 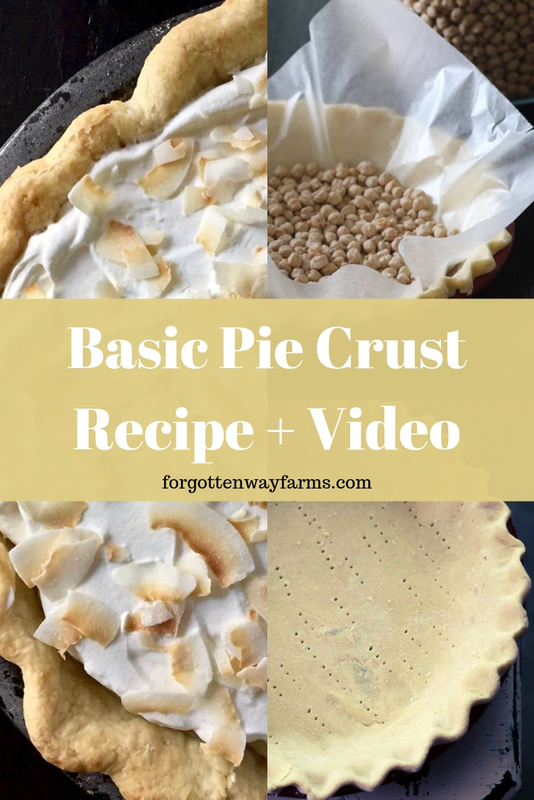 I find that watching a video tutorial always helps me with learning a new skill, which is why I filmed my method for making a delicious, flakey pie crust recipe at home! Well, now you’ve conquered pie crust! Are you wondering what to put in that flakey pie crust? 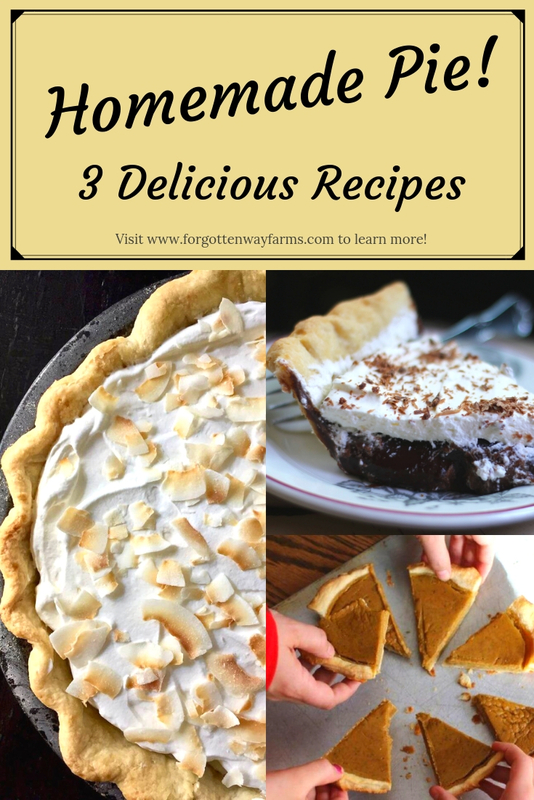 Look no further, here’s my Granny’s Cocoa Cream Pie, Coconut Cream Pie, and Pumpkin Honey Cream Pie recipes! So tell me, are you a fan of homemade pie?